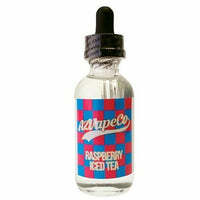 A pitcher of iced tea with frozen raspberries is the ideal thirst quencher in the summer time, get the same refreshing sensation with raspberry iced tea vape juice. Fragrant ice tea packed with sweet, juicy strawberries, yum! Fresh and clean, without any sweeteners. Let this juice help you cool down this hot season!